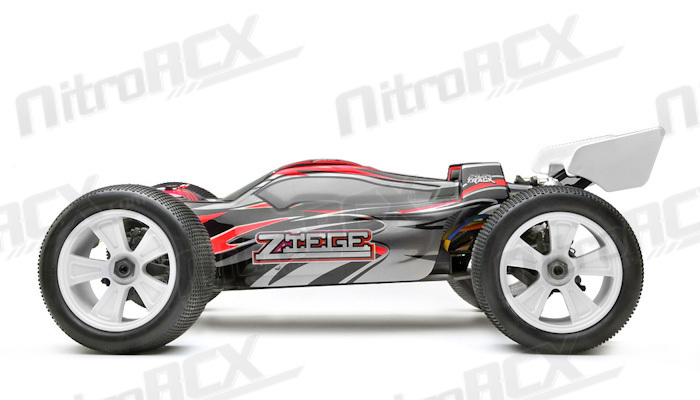 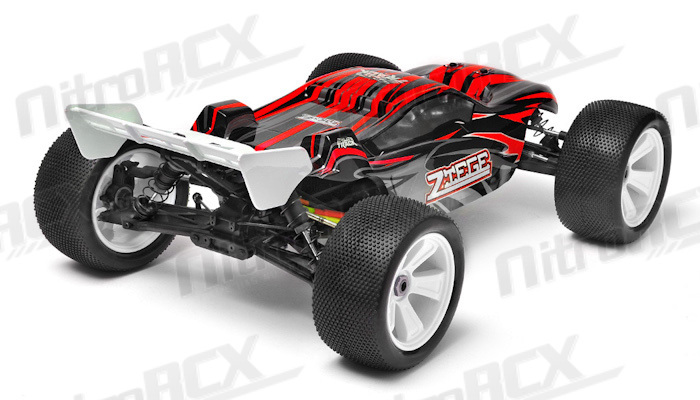 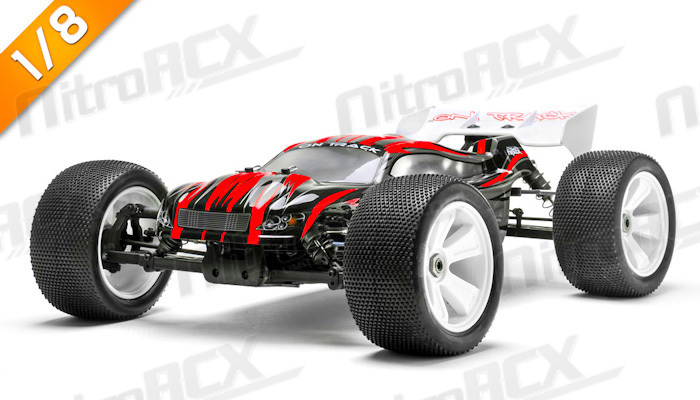 Truggy racing has always been an exciting and popular class in the R/C racing world. 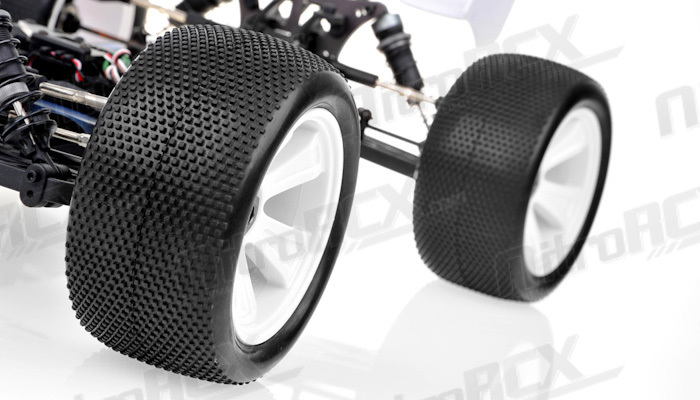 Truggies combine the sheer high performance capabilities of a 1/8th scale buggy and merges that with a high performance truck body with a longer and wider track complemented with wider wheels and tires. 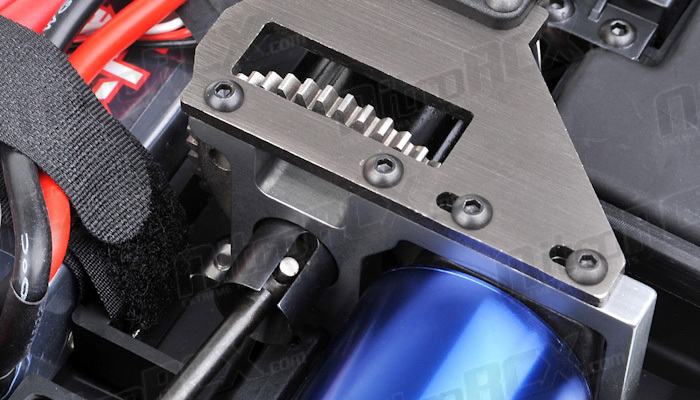 The result is a machine that you can drive very aggressively which makes it simply one of the most enjoyable things you are ever likely to experience. 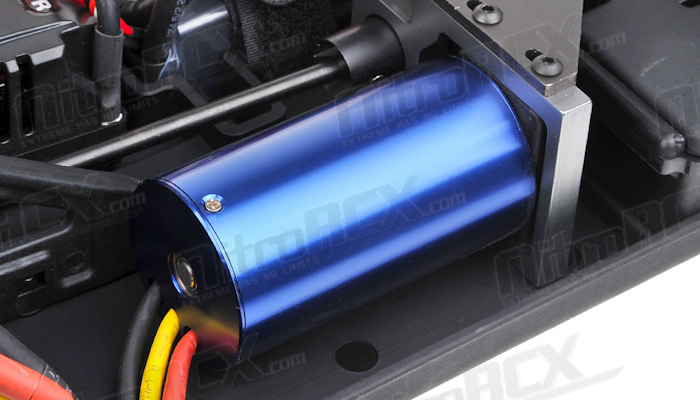 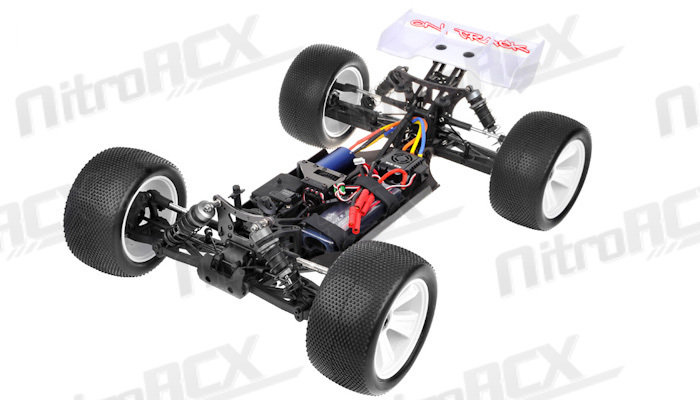 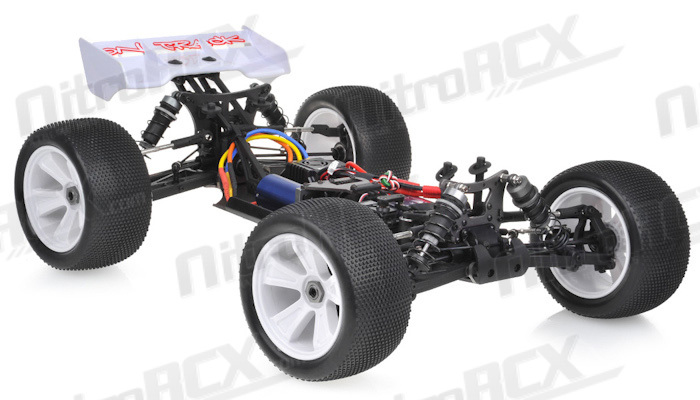 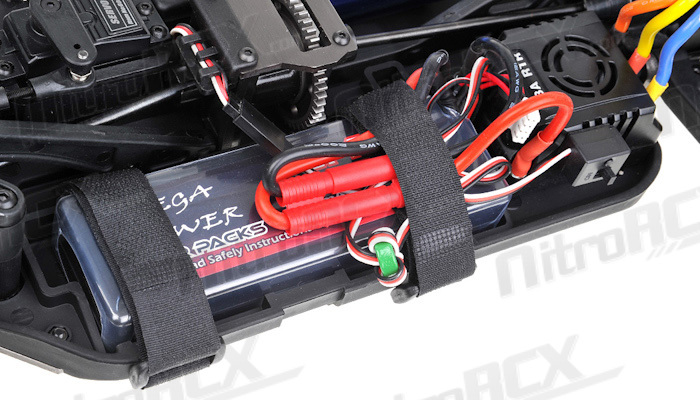 The 36mm x 74mm brushless motor and 80amp speed control system rip up the track with instant acceleration. 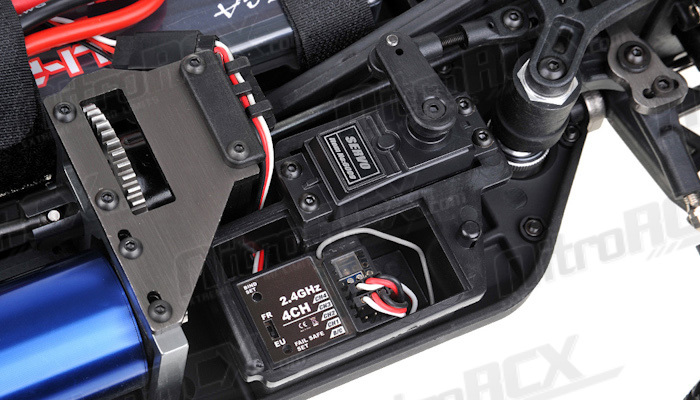 Top speed is very impressive, as the powerful 2075kv motor takes full advantage of the optimized gearing of the Zeige. 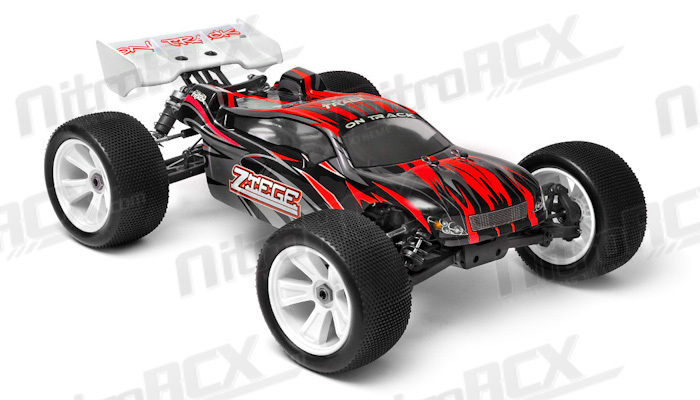 This Truggy is designed for performance, handling and blistering speed. 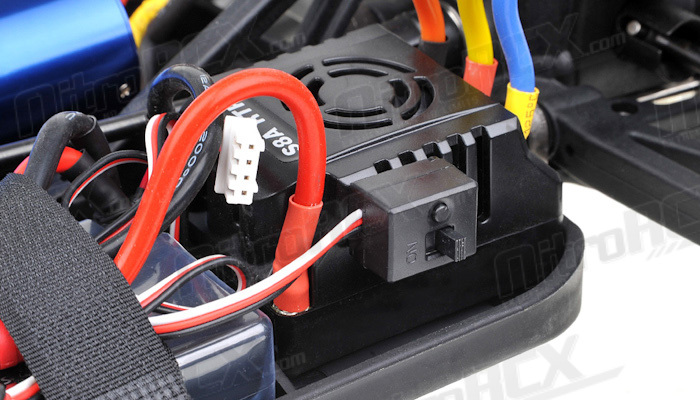 Transferring all this power is achieved by the same reliable, high performance three differential, 4 wheel drive system as the other 1/8 scale Iron Track cars. 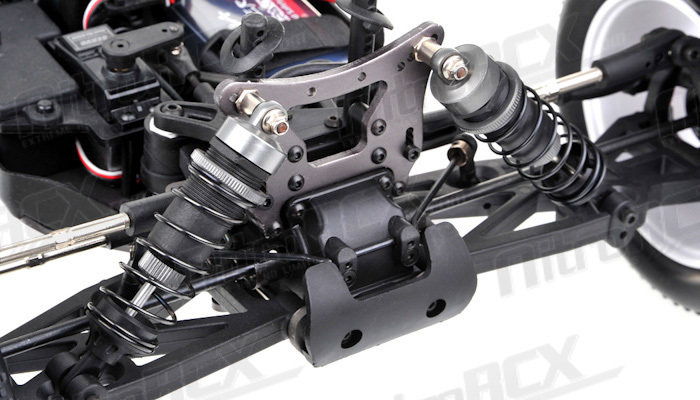 The suspension of the Zeige is optimized for Truggy racing featuring fully independent suspension front and rear. 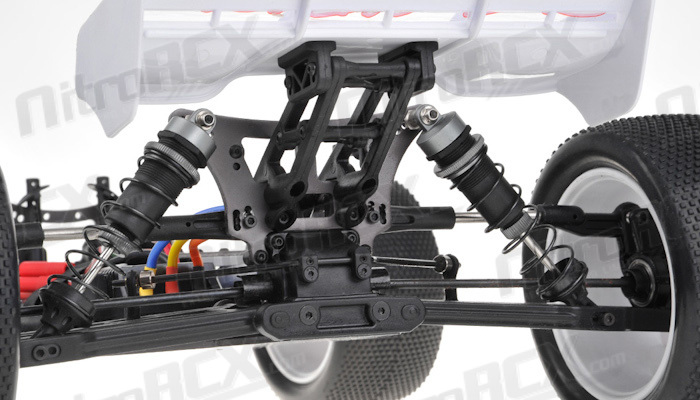 It allows the driver to adjust camber, toe, roll centers and many other tuning options to dial it in for the specific terrain its running on. 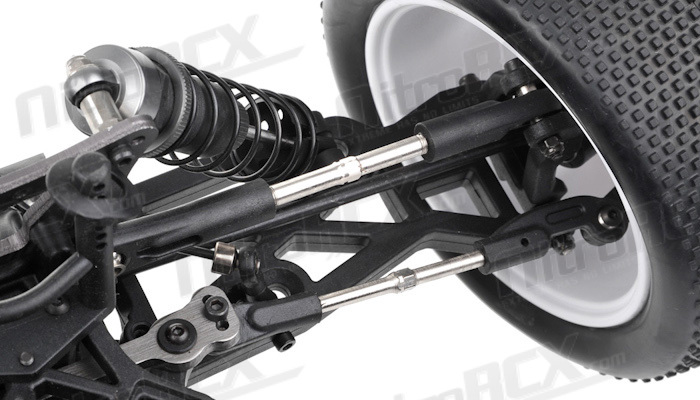 The high volume big bore oil filled shock absorbers are also fully adjustable, allowing you to fine tune your dampening. 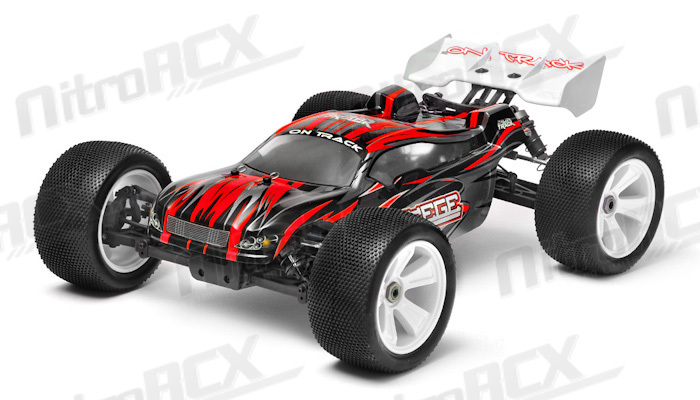 Controlling this Truggy is achieved by the inclusion of a high quality 2.4 GHz radio system that requires no crystal changes at all. 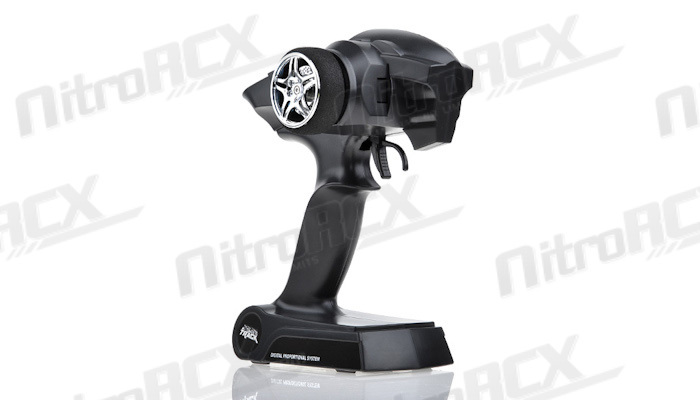 This means that you can get all your friends together and never have to worry about �interference� from other racers again. 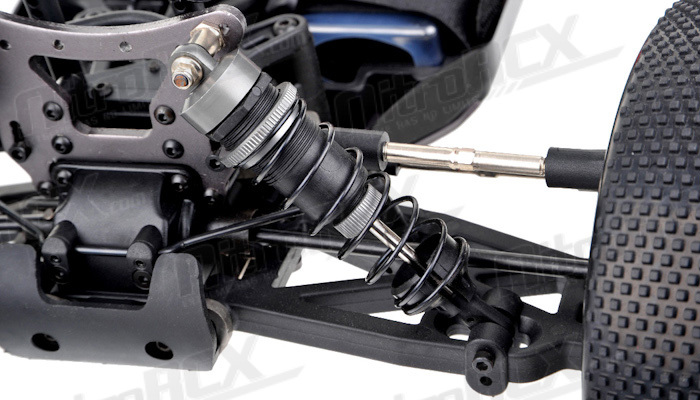 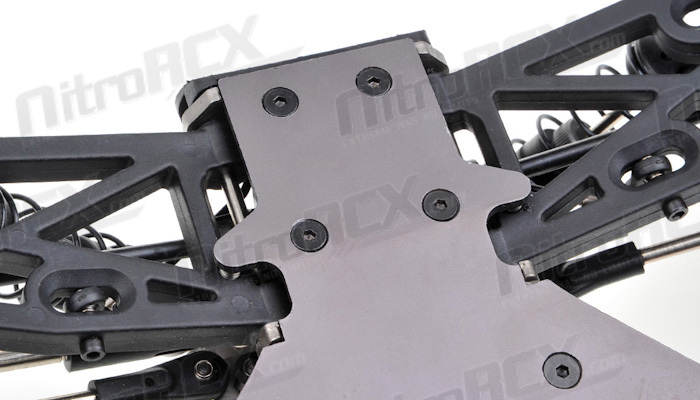 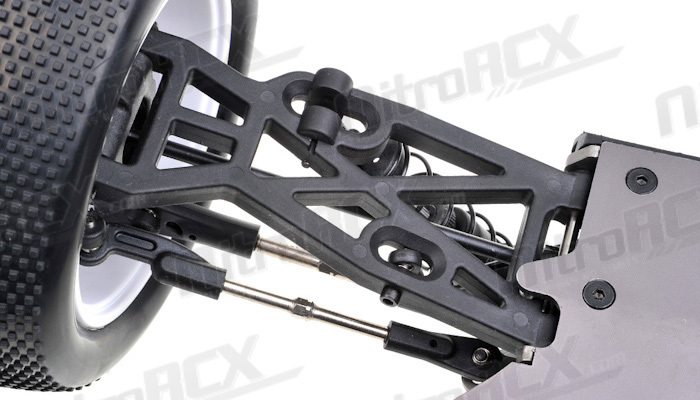 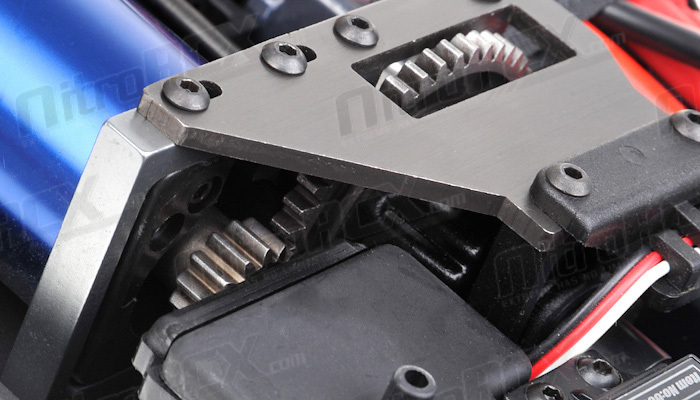 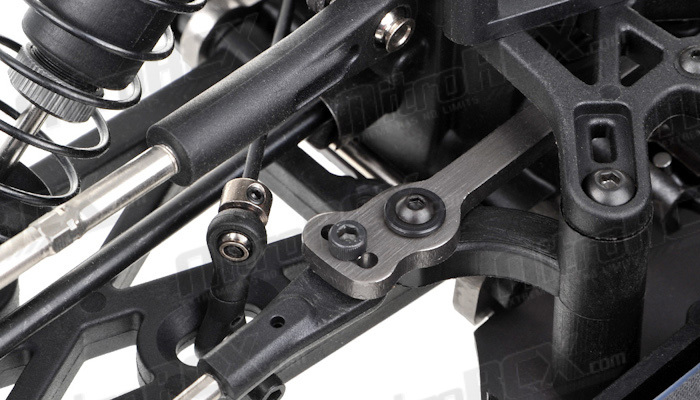 Also included are some seriously powerful servos that other RTR kits only offer as an option! 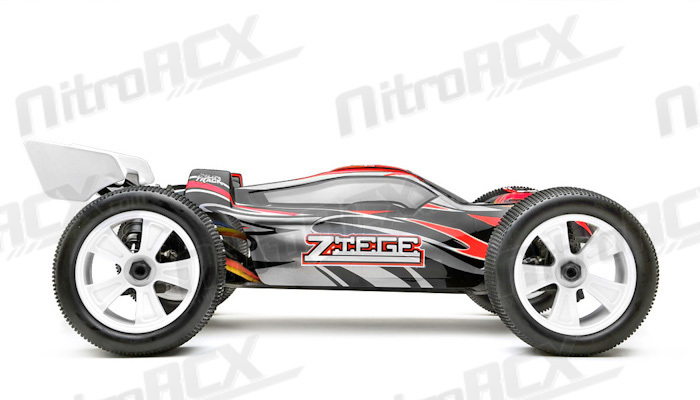 The Zeige enjoys all the benefits and convenience of electric power in one awesome, ready to race package. 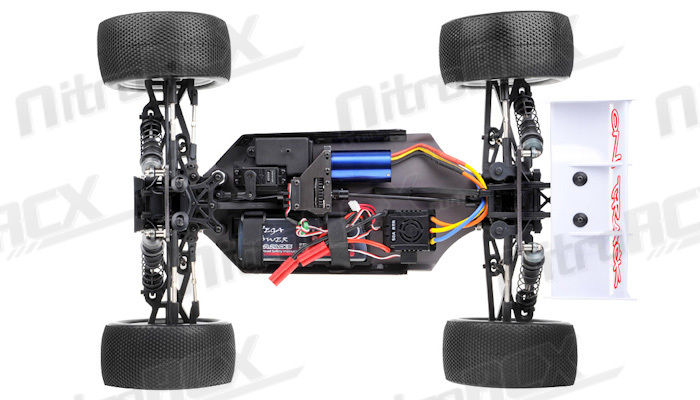 Electric 1/8th scale racing is becoming popular as it is faster, less complicated and more reliable than conventional Nitro powered counterparts. 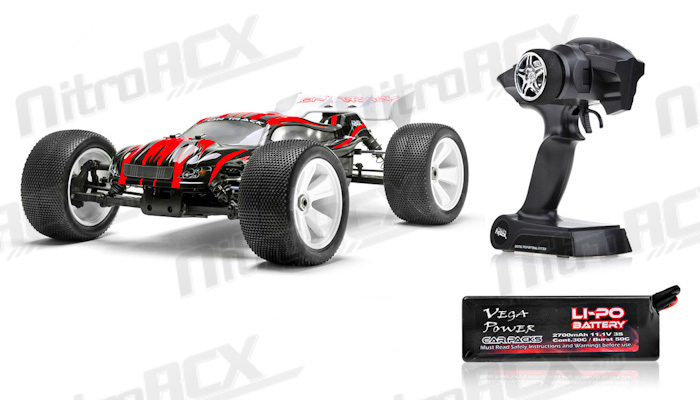 Simply charge your batteries, turn on you radio and start tearing up your local park or race track. 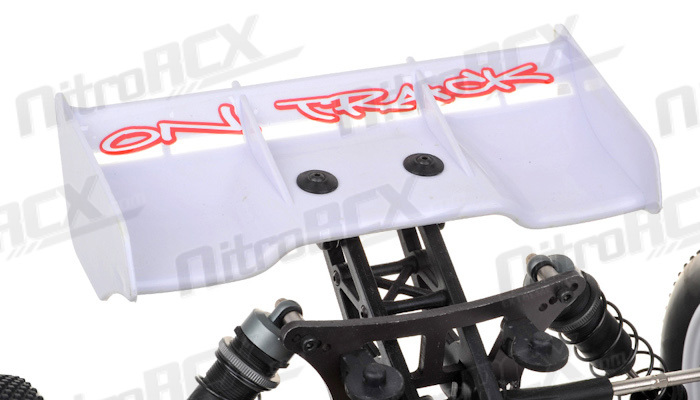 Tear it up with the ZEIGE from Iron Track! 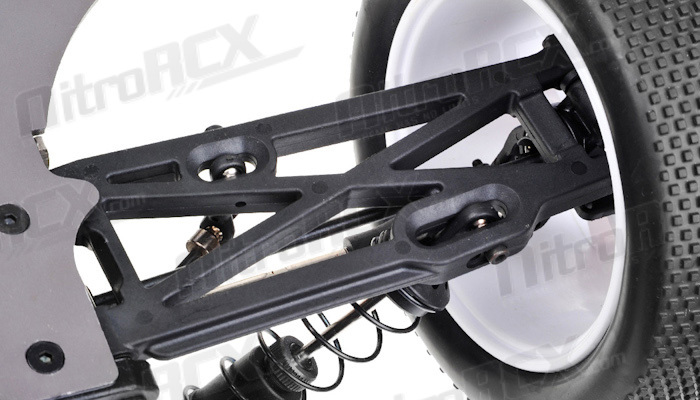 � Hardened ionized materials are used for all joints and wheel axles. 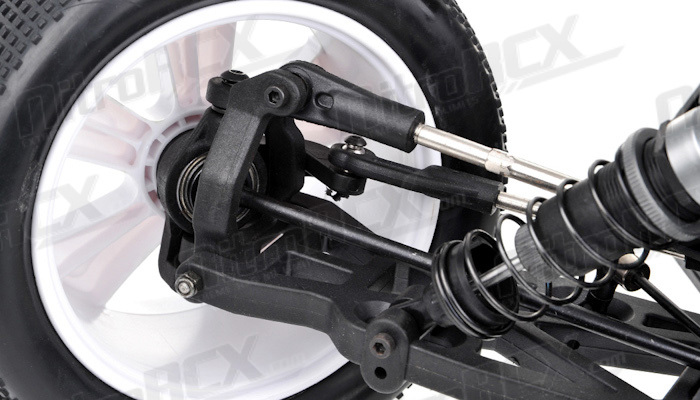 � All differential and suspension components are filled with high quality silicone oils.